Krispy Kreme lovers unite as the famous doughnut shop will tap into people’s creativity with an activity titled ‘Crafty Christmas at Krispy Kreme’ this coming Saturday, December 12, at their flagship store in BGC High Street. The event will give Krispy Kreme’s customers the chance to customize their own limited edition Krispy Kreme tin cans which can hold up to half a dozen doughnuts. This holiday activity is a great way for people to channel their inner artist and showcase their hidden talents and imagination. The customized tin can can serve as a container for Krispy Kreme's doughnuts, and be the perfect personalized gift to loved ones this Christmas. Krispy Kreme encourages participants to think outside of the box- or in this case, the can- and add their own personal flair, making it perfect as a gift for the special Santas in their life. To assist them in their works, Krispy Kreme is bringing a popular sketch artist who will share and showcase his fun and wild imagination as he customizes a giant Krispy Kreme tin can. 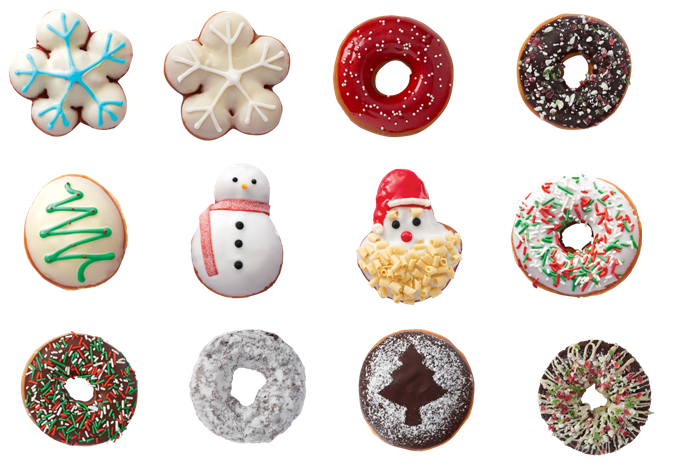 And to complement these fun and creative tin cans are Krispy Kreme's Christmas-themed holiday doughnuts that are equally festive and celebratory in look and taste. 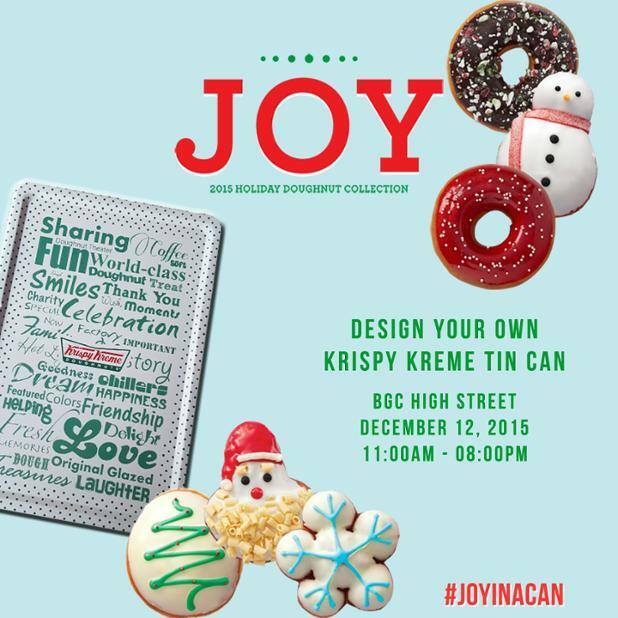 Be sure to share the #JoyInACan and let your creativity soar with Crafty Christmas at Krispy Kreme this December 12 at Bonifacio High Street in BGC. Proceeds from each Krispy Kreme tin can purchased on this day will go to the construction of an art room in a chosen public elementary school. The art room will give students the outlet to let their imaginations come to life, one art class at a time! See you there!